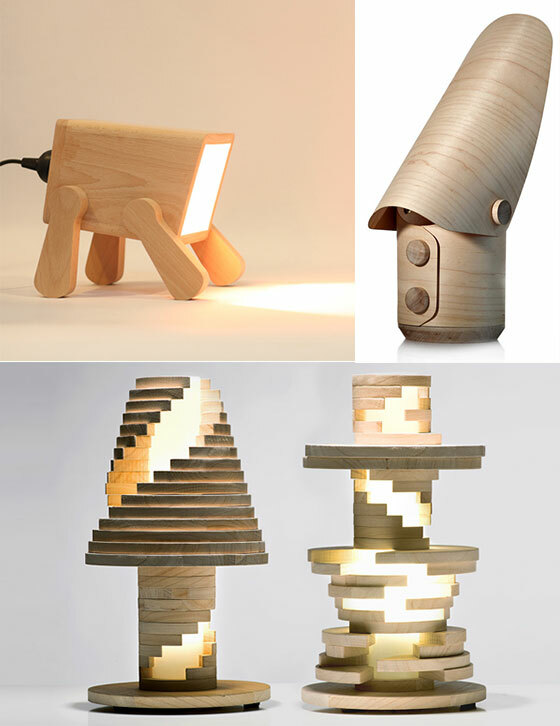 The trend of wooden pieces is rising and today we will bring you 9 Creative and Cool Wooden Lamp Designs. They are not only beautiful but also 100% eco freindly. 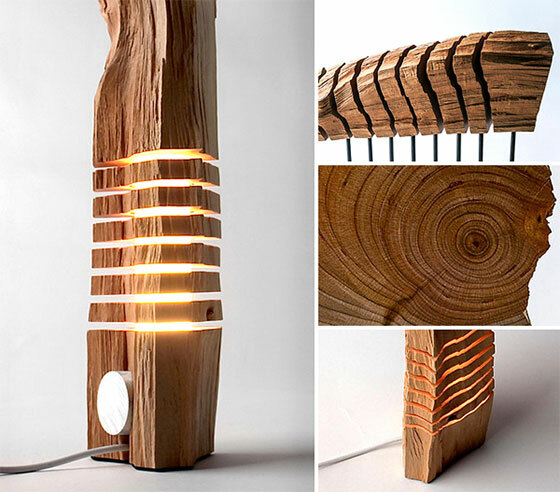 Stick around to learn about these cool designer lamps, hope you can find your favorite one. 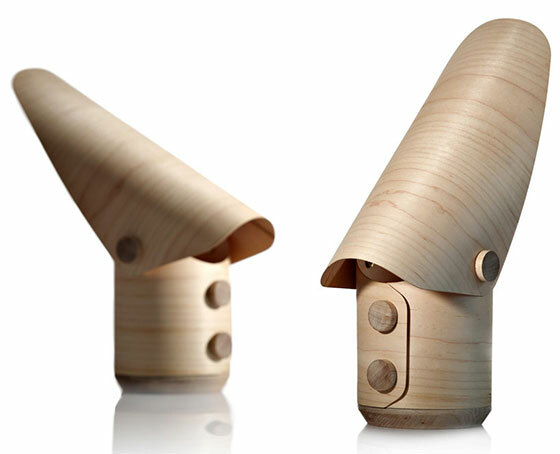 This cute lamp in the form of bird is a part of avian-themed collection “Marina’s Bird” created by Belarus design studio Fajno. 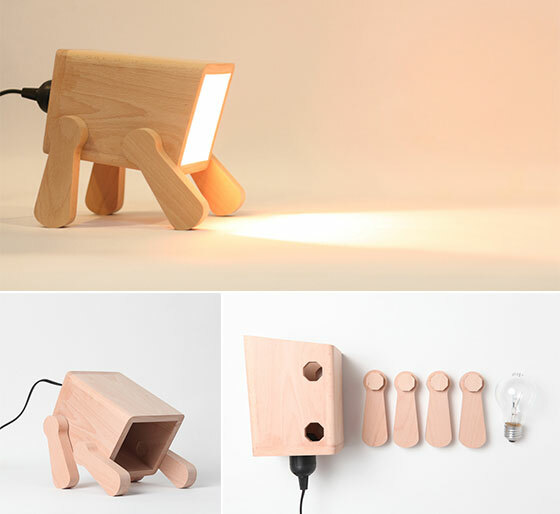 Made of wood and glass such lamps will bring some playful mood to any interior space. 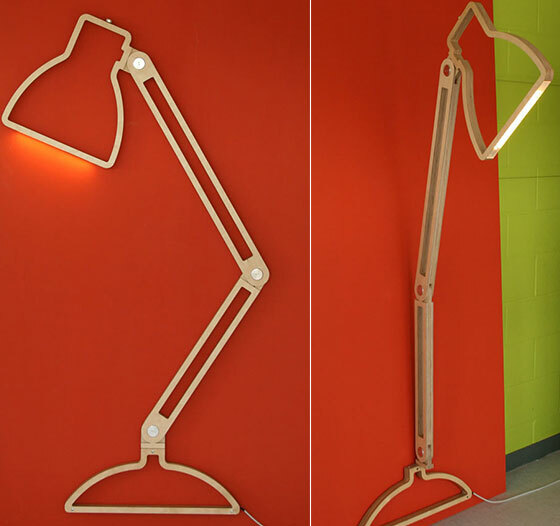 This is a two-dimensional lamp silhouette that seamlessly transforms into a fully functioning three-dimensional task lamp. 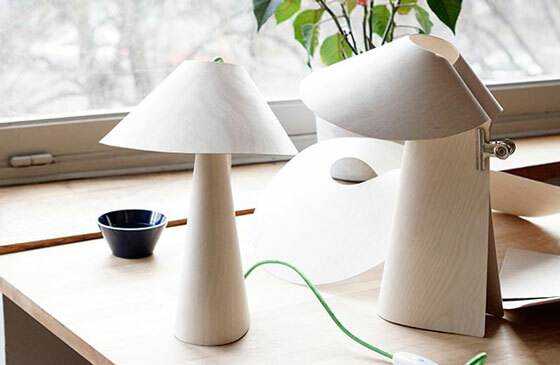 Created utilizing modern computer-controlled technologies coupled with conventional materials, the Nepa Lamp aspires to be the understated centerpiece to any room. 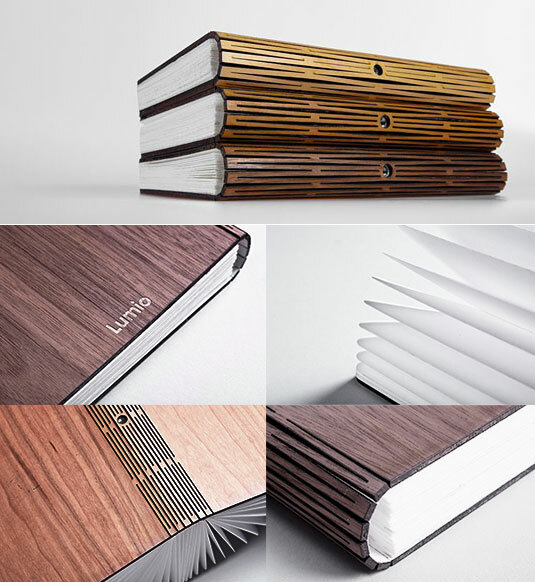 Lumio is a multi-purpose portable lamp in the shape of hard-bound book designed by Architect Max Gunawan. The light turns on when you open the cover and turns off when it’s closed. You can transform Lumio into multiple shapes for many different functions – as a table lamp, a wall sconce, ceiling pendant, ambient lighting, outdoor lighting or come up with your own unique ways to use Lumio. Starting from a classic abat-jour (lampshade) silhouette and playing with it: disassembling it in plain sections, shuffling and putting them back in order, creating and defining light gaps. It’s an ever changing object with an innate anchitectural nature. 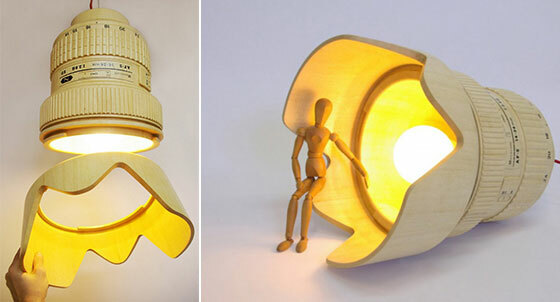 A simple figure, an idea, a lamp that illuminates and inspires creativity. “Kino”is a light product made out a sheet of birch multiplex. 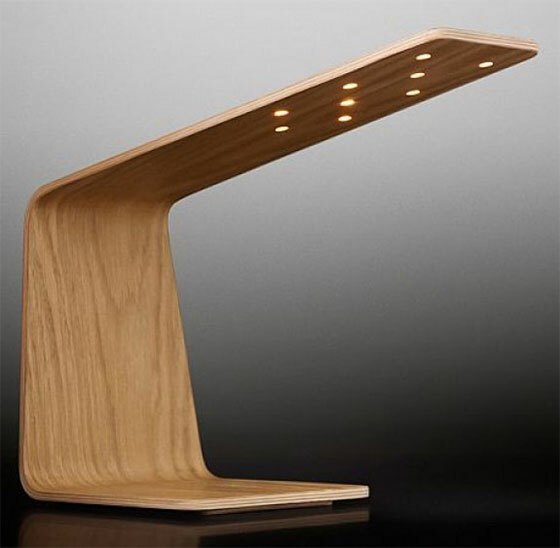 The idea of ​​bending very thin wood sheets, allows complex shapes from a simplified process, folding a 2D shape in a 3D volume allows to spread a warm light through the wood. It results in an economic purpose as ecological materials and 100% wood. 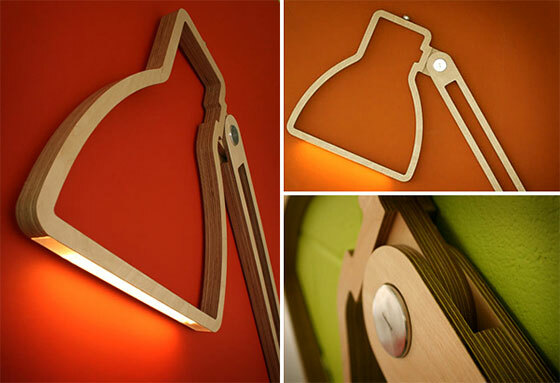 The innovative, award-winning LED1 lamp combines modern technology, wood and simple design language in a creative way. The hidden touch-sensitive switch gives the user a true feel of the material and finishing of this unique product. LED1 is perfect as an eye-catching interior design item or for effectively lighting a work environment – or both. 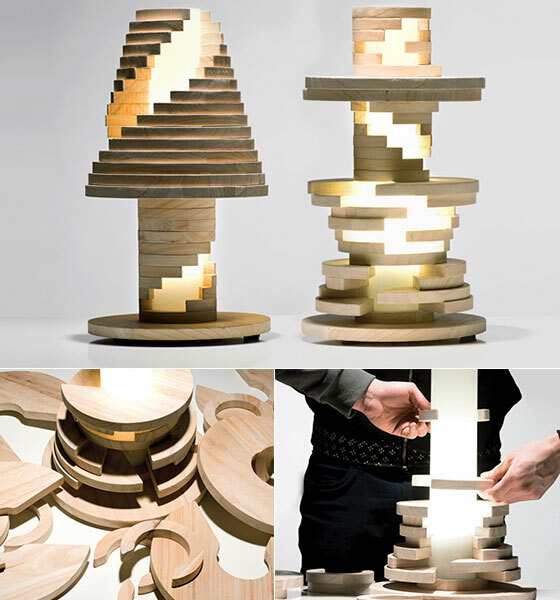 WAF light is a table lamp built from two pieces of maple veneer that are simply folded and buttoned together. the upper veneer reflects the light and is adjustable. 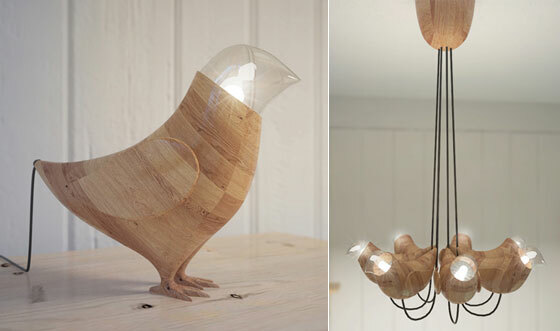 où trouve t on vos lampes en bois à la vente ? Please try to use the link after product to find it source. we don’t sell any product on site.